Located in Redford--Office is on north side of Seven Mile Road located between Beech Daly and Inkster Road--Office is a stand alone one story building with free parking to the east. The Redford Social Security office is located in Redford 48240. The following page includes information for this location like the office phone number, hours of operation and driving directions. If you have any interests or comments about your retirement benefits or are interested in making an appointment, call the following Redford Social Security office. The Redford Social Security office is located at Redford 48240. The Michigan SSA runs separate federally run plans like retirement, SSI, Medicare and disability benefits. The following page contains essential contact information for this location such as the Social Security office phone number, hours of operation, and driving directions. 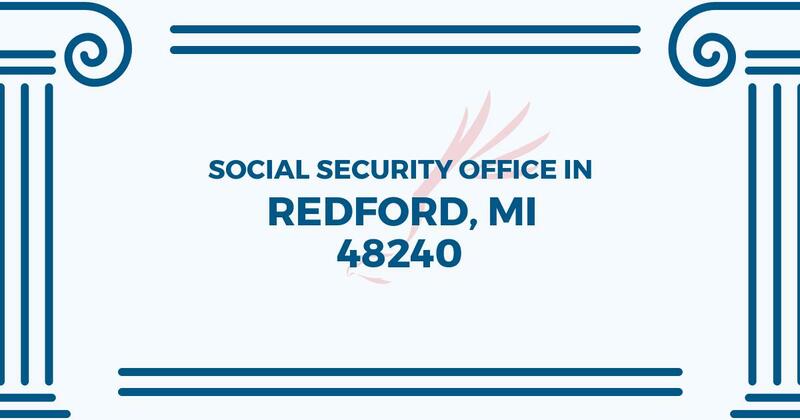 If you have any issues or questions concerning your retirement Social Security benefits or interested in arranging an appointment, call the following Redford Social Security office. The staff was very helpful in assisting me and the wait time was shorter than all the other offices I’ve been to.